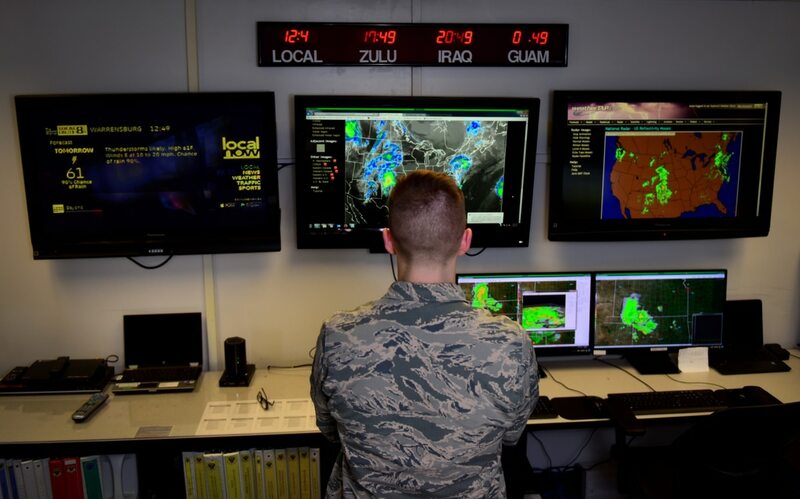 The Air Force has been conducting command and control across various domains of battle for several years in varying capacities, but much remains unknown regarding their official push toward multi-domain command and control. Multi-domain command and control has been a priority of Air Force Chief of Staff Gen. David Goldfein since his confirmation hearing. The Air Force is also currently undertaking a multi-domain command and control Enterprise Capability Collaboration Team study, which will brief Air Force leadership on recommendations and best practices. This team is thinking about how to bring the effects from all the different domains and operate in different observe, orient, decide and act loops at a pace with which the enemy can't keep up. As the Air Force continues to work on its much-anticipated ECCT study, contractor Lockheed Martin is working with the Air Force to help craft understanding and concepts around multi-domain command and control. Last month at their Center for Innovation in Suffolk, Virginia, Lockheed hosted a war game on multi-domain command and control that sought to help inform the Air Force and the ECCT team, which participated. The war game looked at operational planning in air, space and cyber in support of the ECCT, Kim Ponders, who does business development for C4ISR programs at Lockheed, told C4ISRNET. She added that the company wants to help synchronize those processes and provide visualization tools that improve situational awareness across all three domains. One of the key problems the Air Force is trying to work through involves semantics and language. Today's forces function in a domain-specific structure, and with that comes unique language they develop and train to, Rich Skiles, business development manager for C4ISR at Lockheed, told C4ISRNET. "One of the problems we found are semantics don't align across the domains." Operations in each domain also have different planning cycles, Ponders said. With that, the goal is to understanding how to align them to collaborate as opposed to just deconflict. Multi-domain operations is something the force must embrace, especially when looking at adversaries and the environment in which troops will have to fight, Brig. Gen. Kevin B. Kennedy, director of the Air Force's Cyberspace Operations and Warfighting Integration, said in February. To be effective here, the service will need command and control in a multi-domain environment, shifting from simply C2 in the air to C2 in air, space and cyber to enable centralized control and de-centralized execution, said Kennedy. That is going to be one of the fundamental tenets of how the Air Force thinks about air power, space power and cyber power, he added. Ponders added that the Air Force is still trying to define multi-domain command and control, adding the service as well as industry does not want to rush into this. The company has not developed any concrete multi-domain command and control solutions because they are also trying to understand this notion and what the Air Force might need. "For us to rush in with a great idea might be a little early," she said, explaining that these exercises also help the company understand how to invest in new capabilities. "We all want to start from the ground up," she said, adding they don’t want to make assumptions based on past decisions. "We are in the discovery phase," Skiles said, not a solution phase yet. As such, they are partnering with the Air Force to articulate the gaps and seams with a potential solution several years out. Being the partner not only allows for more informed investment in technology but also allows the government to plan for gaps and seams in future acquisition, he explained. The Air Force has already begun to integrate space teams and operations within their air operations centers. Space professionals are now playing a role in mission planning in conjunction with air tasking orders and constructing monitoring plans to better safeguard the most important combat functions enabling combined air operations center teams to conduct mitigation functions from kinetic response to diplomatic engagement. Lockheed is planning another exercise in October.